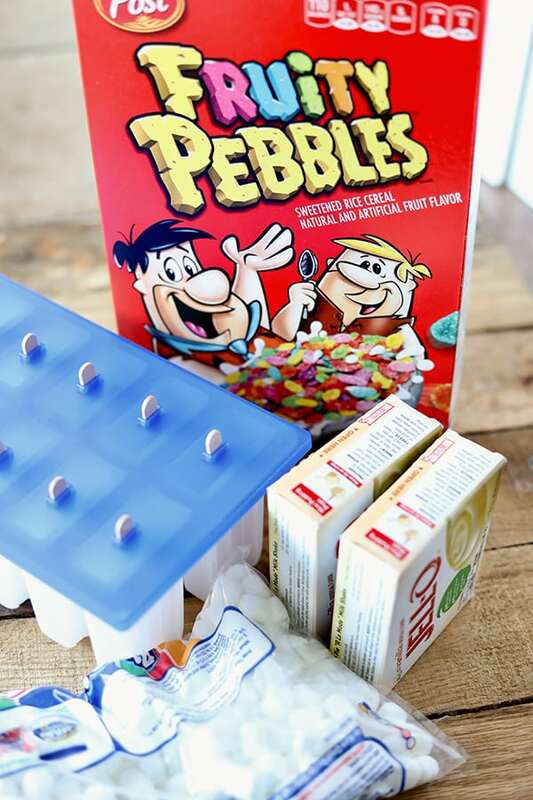 Thank you to Post Pebbles for sponsoring this blog post. When I was a kid, I just loved pudding pops! 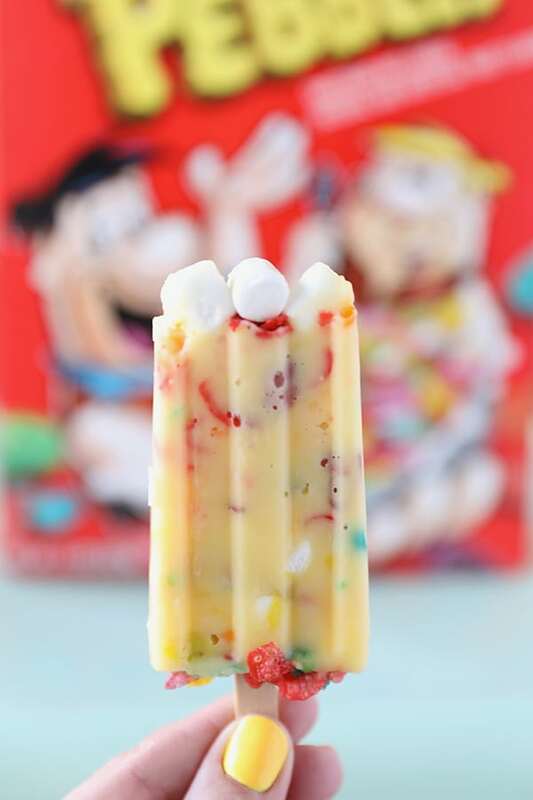 Sweet and creamy, these homemade pudding pops are packed with colorful Fruity Pebbles cereal and a sprinkle of mini marshmallows, so they are extra delicious. They would be perfect for St. Patrick’s Day, or any rainbow themed party! I used these popsicle molds and they worked great! 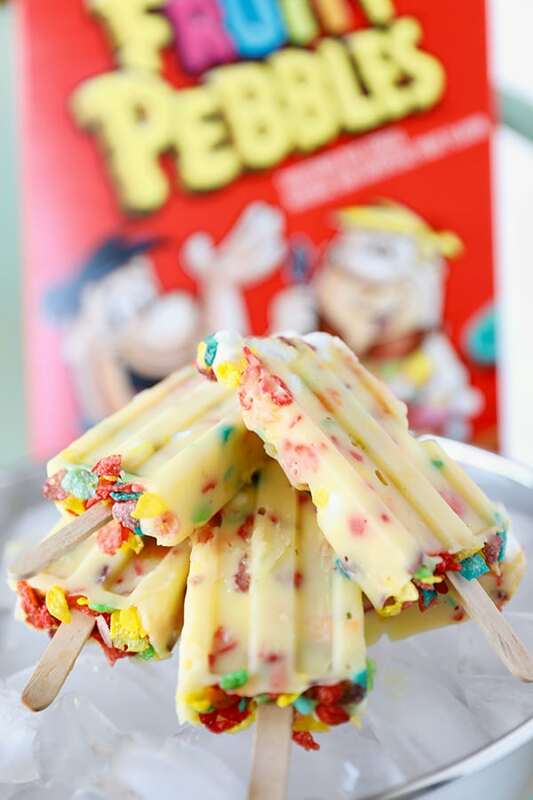 The texture and flavor of the Fruity Pebbles really made these pudding pops delicious! Just for fun, I dropped a couple marshmallows into each mold before pouring in the pudding mixture and sprinkled some extra Fruity Pebbles to finish them off. When making the pudding pops its best to work quickly, so have all ingredients and tools out and ready to go. It’s easier to pour the pudding into the molds before it thickens and sets. Another one of my tricks for making pudding pops is to use less milk than the instant pudding recipe calls for. It makes the pudding pop a little richer and creamier. Quickly stir in Fruity Pebbles and marshmallows. Freeze for 2-3 hours until set. To remove pudding pops from molds, let soften or run bottom of popsicle molds under hot water until pudding pops release. These Fruity Pebbles Rainbow Pudding Pops are so easy to make and so fun and colorful! If you make these, please tag me on Instagram! I’d love to see them!